Amaatra Residency offers an exhaustive array of exotic conveniences to help you live better. The haven provides all basic amenities that will add flavour to your life. Amaatra Residency has redefined the very concept of being close to nature with large open areas and greens; Residents will now truly enjoy ultra modern amenities yet feel the beauty of surrounding greens. All of this without compromising on any property features; so except the very best in modern security arrangements; recreation facilities like club and swimming pool, ample water supply, streetlights, adequate electricity and power back-up and also features like play-areas, beautifully landscaped parks, and a jogging track that will add flavour to your life. Now get flats on concessional rates in city of Nawabs by Amaatra Residency Mahanagar Flats . Amaatra Aftek Residency is designed to be self-sufficient, scenic living haven, which will offer amenities that exhibit a modern lifestyle at par with international standards. 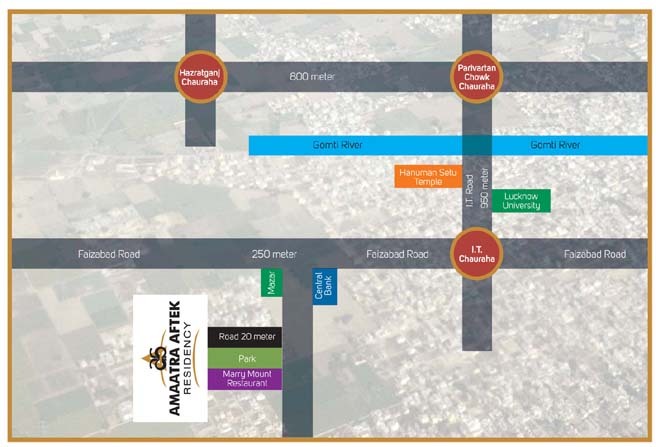 Like Roman landmarks, Amaatra Aftek Residency Faizabad Road Lucknow will take you away from the crowds yet it will be close enough for you to avail the many benefits offered by it. Your home will be a short walk away from the town centre, entertainment spots and road and rail connectivity. So that, you and your family are never far away from life. With all possible modern amenities and premium internal property design spread across. Amaatra Aftek Residency is surely poised to be Lucknow’s new landmark. 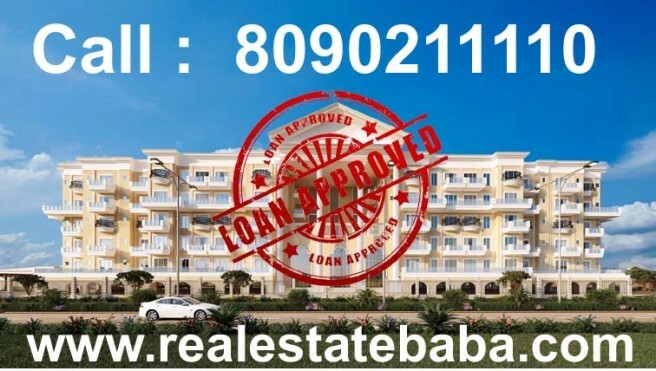 All of this without compromising on any property features; so except the very best in modern security arrangements; recreation facilities like club and swimming pool, ample water supply, streetlights, adequate electricity and power back-up and also features like play-areas, beautifully landscaped parks, and a jogging track that will add flavour to your life. Amaatra Group is one of the rising stars of the Indian real estate sector. An unfaltering commitment to innovation and consumer-focus makes us stand out from the rest. We believe that reputation is built only by adhering to a steadfast professional approach, always. And we are all set to make sea changes in the Indian realty sector. Excellence is synonymous with Amaatra Group as they create the perfect blend of beauty and modern amenities. We convert thoughts into reality, shaping up the dreams of our customers. Our mission is to raise the quality of lifestyle by introducing global standards that transform lives. Amaatra Group use state-of-the-art technology to create structures of international standards. Its workforce has led the group to initiate for building better India.